Our team of Apple Mac repair engineers has the capability to provide professional and economical iMac repair and upgrade solutions for all kinds of hardware, software or operating system issues faced with 27-inch, 24-inch, 21.5-inch, 20-inch and 17-inch desktop computer models. At Mac Repair London, our expert technicians can quickly diagnose the issue with iMac (Aluminum), iMac (Aluminum Unibody) and iMac (Retina Display) desktop computer models and suggest a solution to fix your iMac. 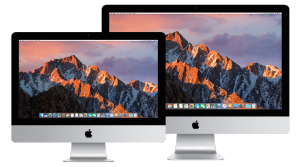 If you have any questions about our London iMac repair or upgrade services, please feel free to contact us at 020 7394 2528 or e-mail us at info@mac-repair.london.